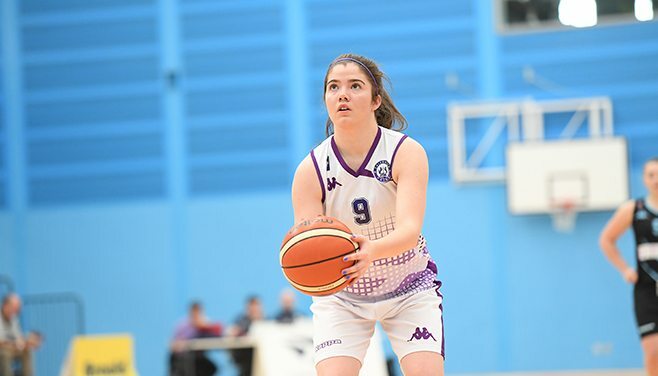 Caledonia Pride came through an exciting fourth quarter to record their first win of the 2018/19 WBBL Championship campaign, beating BA London Lions 75-69 on the road. Lions had started the season well but both teams are now 1-1, with this being Pride’s fourth consecutive league win over Lions in the last two years. Turning point – Pride opened the game 14-2 and did not trail until early in a decisive fourth quarter. They responded to going behind with a 9-3 run to lead 62-57 inside the final five minutes, as Hannah Robb hit a three-pointer and Shawnisay Millar scored consecutively, while they held their hosts scoreless for two minutes. Key stat – Pride shot an extremely good 47% from beyond the three-point line, led by 4-6 (66%) from Tia Weledji, with Pollyanna Storie 1-2, and both Hannah Robb and Ella Doherty making their only efforts. Game hero – Tia Weledji led the scoring with a huge haul of 28 points, including those three-pointers and 8-8 at the free-throw line.